Reproduced Courtesy of The Herald & Times Group. 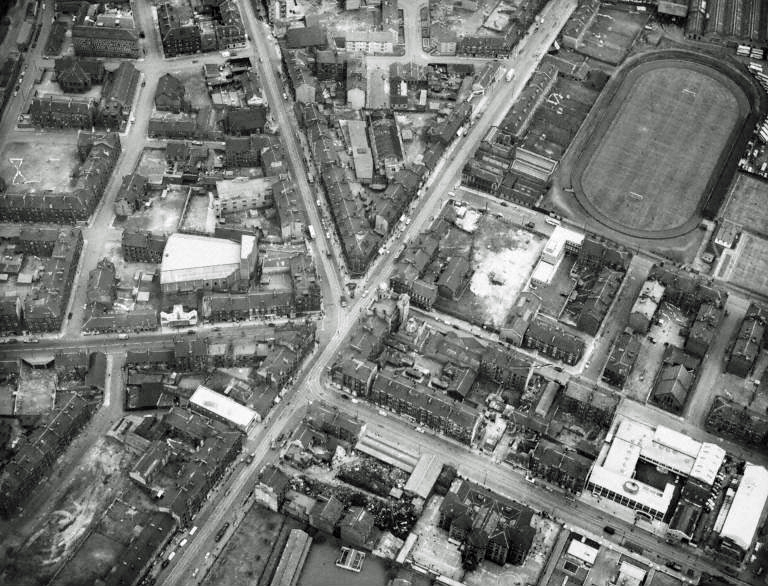 This is an aerial view looking east over Parkhead Cross and probably one that Parkhead residents are less familiar with. What do you spy with your little eye? These are similar views of the Westmuir Street & Tollcross Road junction with the one on the right from a wider angle. It must have been a rare summer’s day as the one on the left shows the two lads to the right bare chested and with shorts on. This is Standard “Hex Dash” Tramcar No. 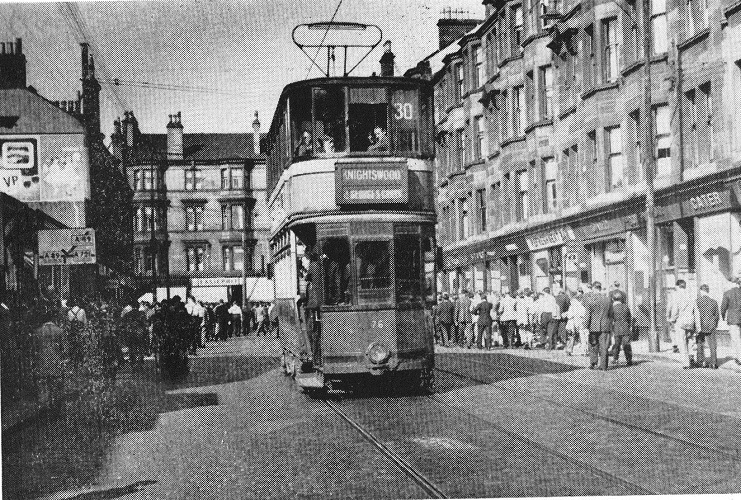 237 heading towards Parkhead Cross on 28 July 1955. 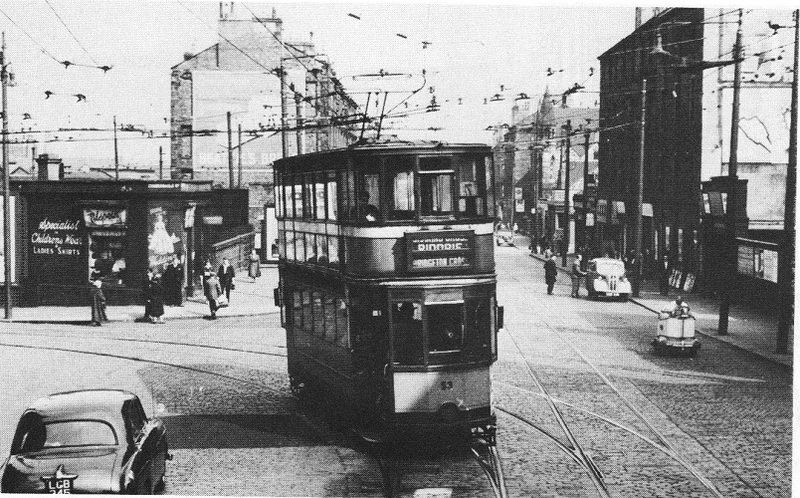 The shops to the immediate right of the tram are; Humes Wallpaper Store, an Opticians and one called The Wardrobe. 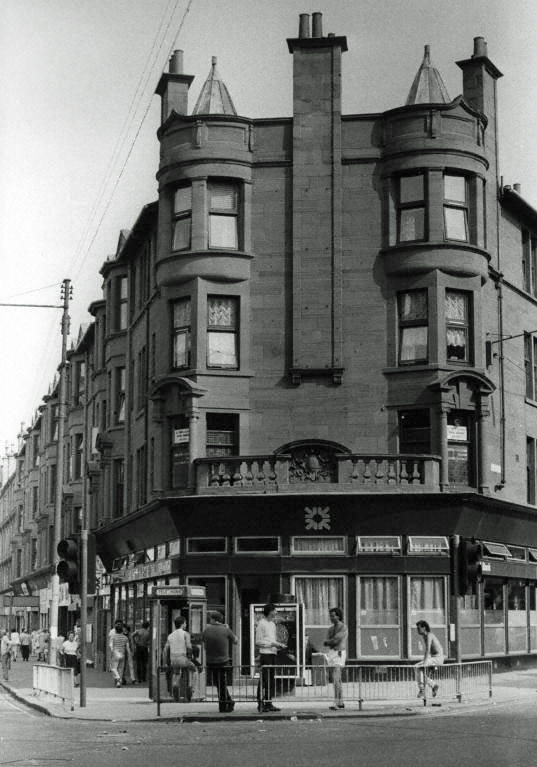 At the Gallowgate on the top left of the photo is Easiephit shoe shop and one called Bells. Anybody recall these shops? Almost identical scene to that above but this one was taken two years earlier on Saturday 8 August 1953. The crowds are leeaving the Celtic match that day on their way home or heading to the the boozers to drown their sorrows. The match was a League Cup Tie between Celtic and Aberdeen. The score was Celtic 0 – 1 Aberdeen. 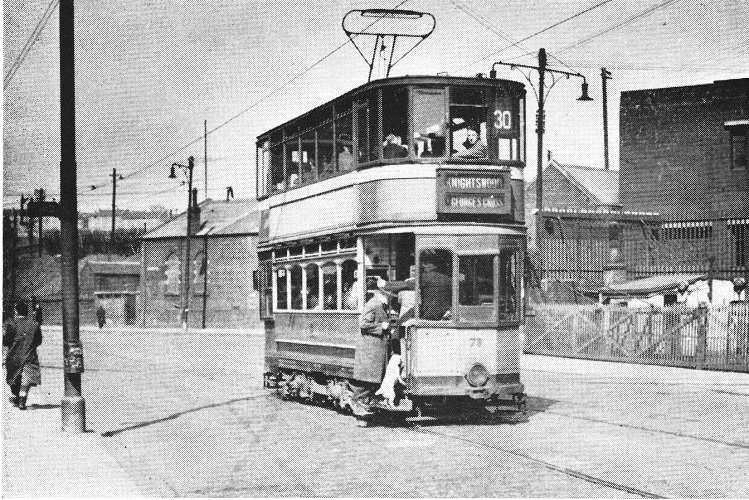 Springfield Road at the junction with London Road looking toward Whitby Street. This shot was taken on 28 July 1955. Duke Street at the rail crossing between the Forge Works on Saturday 16 April 1955. 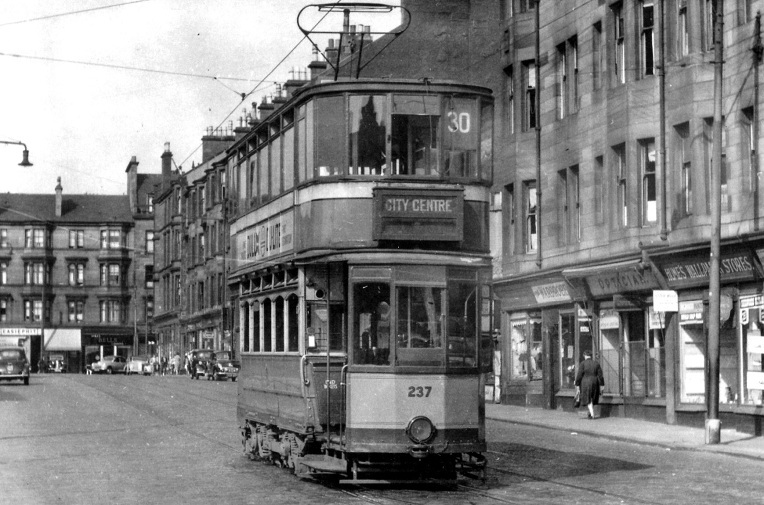 This picture was taken from the book “Glasgow Tramscapes” by Ian Stewart. Reproduced with kind permission of Ian Stewart. 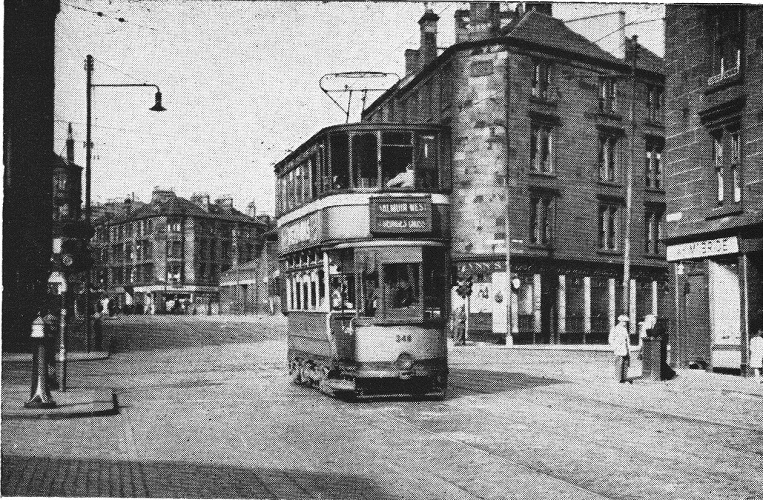 Duke Street looking towards Parkhead with Cumbernauld Road to the left. On the right is an entrance to the Scotia Picture House. 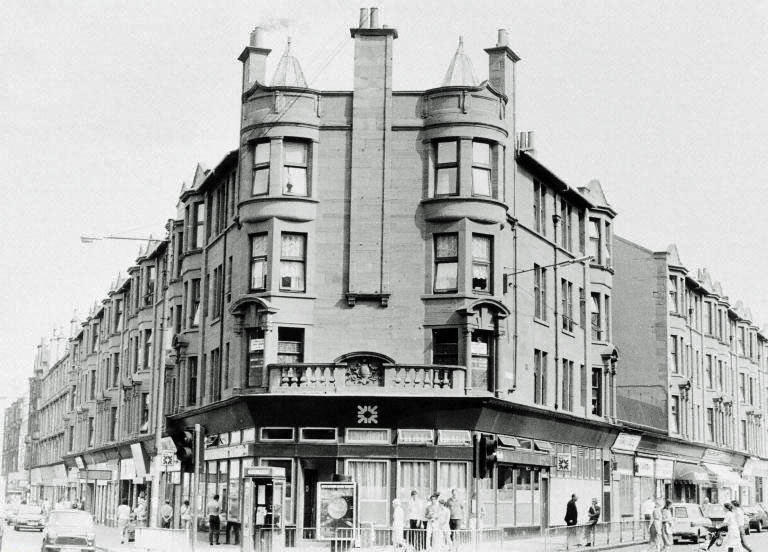 This junction was known as Alexandra Cross. This photo was taken from Glasgow Trammerung -The Twilight of The Glasgow Tram by Cedric Greenwood and published by Heritage Press now believed to be defunct. Efforts to contact both were unsuccesful. A Cunarder heading from Parkhead Cross along the Gallowgate at the railway bridge at Camlachie. You might have jumped out and warned me. I got caught by these police , the first one had a newspaper to wave when you passed . Cost me a £5 fine at the district court around 1959 I think. 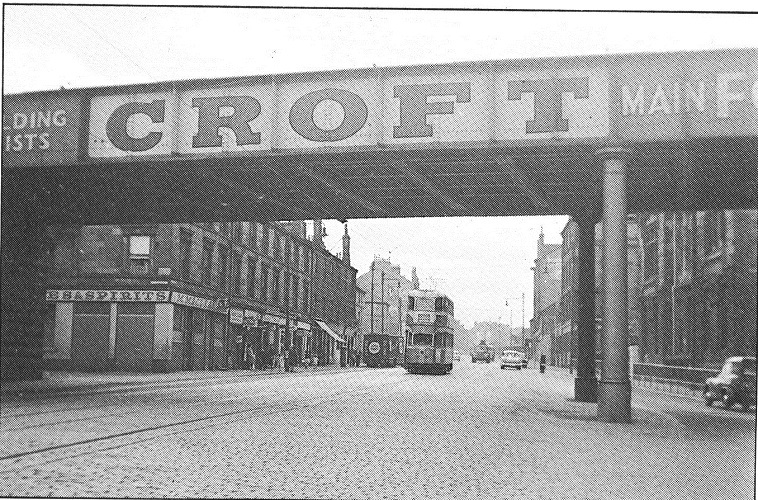 I remember those pillars on the croft bridge as being bigger, or is that just a childhood thing, when I lived at Society st. I used to watch two plain clothes cops standing in a doorway across the road. They would time the traffic comming down from Parkhead cross with a stopwatch, any that were speeding would get stopped by a uniformed cop hiding behind the pillars.